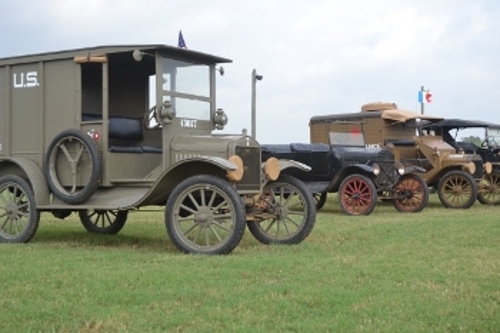 The 2012 AirFair was held on April 28, 2012. 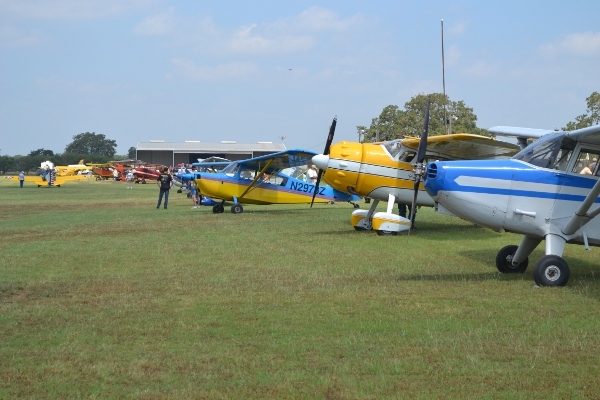 High winds and mechanical problems kept most of our airplanes grounded, but we had a good turnout from fly-in visitors. 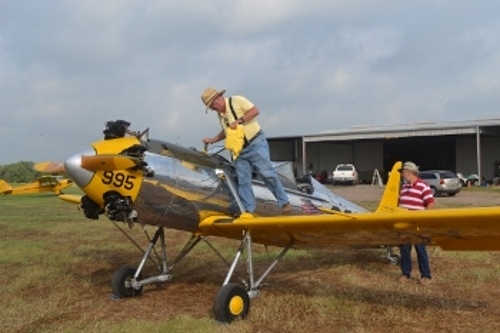 Steve Freeman was also available to fly his PT-22. Team Vehicles had a banner day with most of our ground vehicles in running trim. 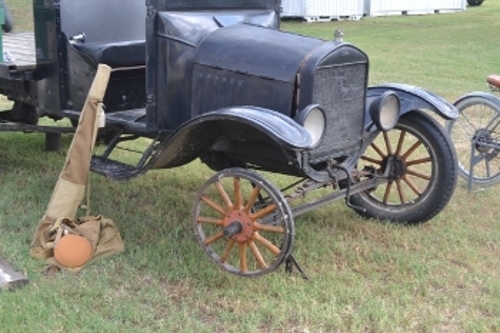 One early problem was solved quickly when we replaced a flat tire on the Ford Model TT truck. 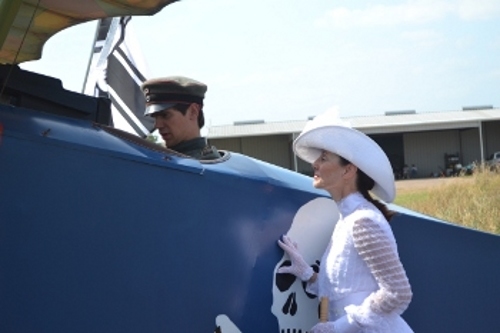 In addition to our own aircraft and vehicles, we had volunteers, re-enactors, and visitors attend in period costume. 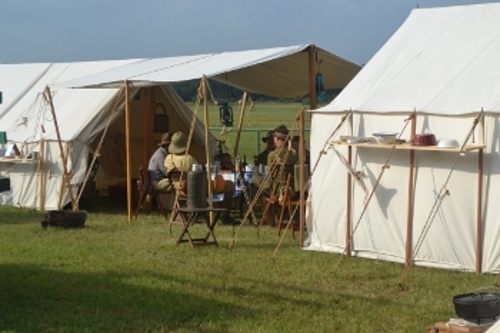 The early 20th-century encampment was a hit, and the people in period garb were in great demand for photos. 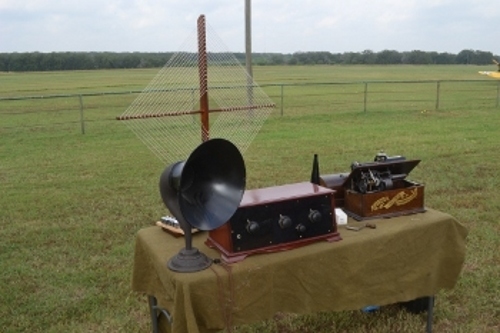 Another popular exhibit was a table set up by one of our volunteers with an early radio and an Edison wax-cylinder phonograph.